That is a quote by Lena Dunham – the creator and star of the acclaimed HBO series “Girls,” which was nominated for an Emmy Award for outstanding comedy series. I have appreciated the perspectives of Dunham on being multitalented, and on using many of her “neurotic” qualities (which we all have, after all) in writing about the lives of a group of young women in New York. In a conversation with actor Claire Danes, Dunham talked about her creative work as actor and writer. Dunham: “I think I’ve sort of made it all into one giant job where all of the parts feed one another. “I remember going to see Les Misérables on Broadway as a kid. I was so jealous of the girl that got to play young Cosette, but I never had a moment where I was like, Oh, that’s something I could do. “I started writing plays, and I would be all of the characters in my head, but I never auditioned or anything. “It was only when I started making short films in college and I was looking for girls to play the me-ish parts that I thought, Well, maybe I’m just going to try doing this myself before somebody else comes in and handles it. Dunham says she went to college “with this idea that I wanted to be a poet…I was a creative writing major, and I would organize a lot of really intense poetry readings and slams. “There was a lot of embarrassing audio footage of me, like, reading my poems in a slam voice. “Then I started writing plays, but the fact that plays don’t last forever was too much for me to bear. At Oberlin, you’d put on a play, and it would have a three-day run… I’d always loved movies, but it wasn’t some sort of desperate love of celluloid. On acting: “I play these girls who are close to me, but they’re the parts of me that I find the most shameful, or the parts of me that I kind of want to excise. From Lena Dunham By Claire Danes, Interview magazine. From my post Filmmaker So Yong Kim on Facing Her Unlikeable Parts When Writing. Another post on the topic: Dancing With Our Shadow to Develop Creativity. 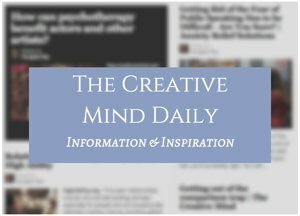 Also see related post: Using Fear and Anxiety to be More Creative. 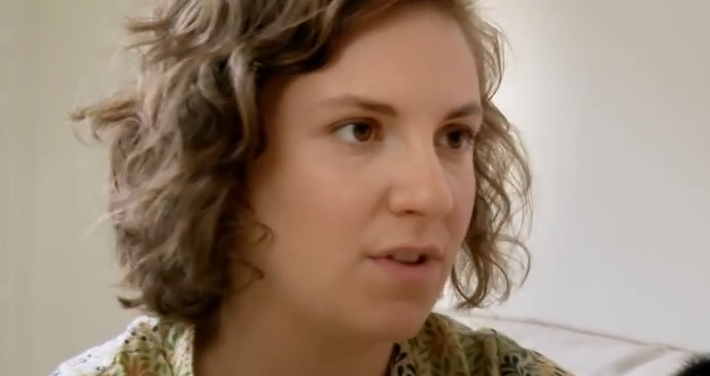 Dunham commented, “I am a working woman out in the world, but I still live with my parents half the time. “I’ve been taking this long, stuttering period of moving out. … I feel like I’m constantly asking them to please stay out of my work life, but also to please bring me soup. In another section of the “Iconoclasts” program, both she and Apatow talk about their OCD. While they may actually be experiencing the disorder, some people say “I’m OCD” when they are just unusually obsessive. Developing creativity and realizing creative ideas usually takes a degree of obsession. Creativity coach Eric Maisel, PhD asks, “Suppose a person is caught up thinking day and night about her current painting or about the direction she wants to take her art? “Thoughts about painting ‘intrude’ as she balances her checkbook or prepares her shopping list. From my post Creative Obsession.